So, it’s one for sorrow, two for joy – and such wild unbridled joy – as Yaya Toure crafted two exquisite goals to edge Manchester City tantalizingly close to their first Premier League title. Forget nursery rhymes and fairytales, Roberto Mancini’s all-conquering side is very much the real deal and just 90 minutes away from football utopia. If five straight wins becomes ‘six of the best’ on Sunday, City will have staged the greatest comeback in Premier League history after trailing Manchester United by eight points just four weeks ago. City’s 1-0 win in last Monday’s much vaunted ‘Title Decider’ against United had failed to confirm the identity of the next champions. True, Vincent Kompany’s bullet-like header had dropped the heaviest of hints, but victory over Alan Pardew’s high flying Magpies would put a genuine seal on City’s credentials. It was a case of déjà vu for MCFC Ambassador Mike Summerbee as he embraced the occasion. 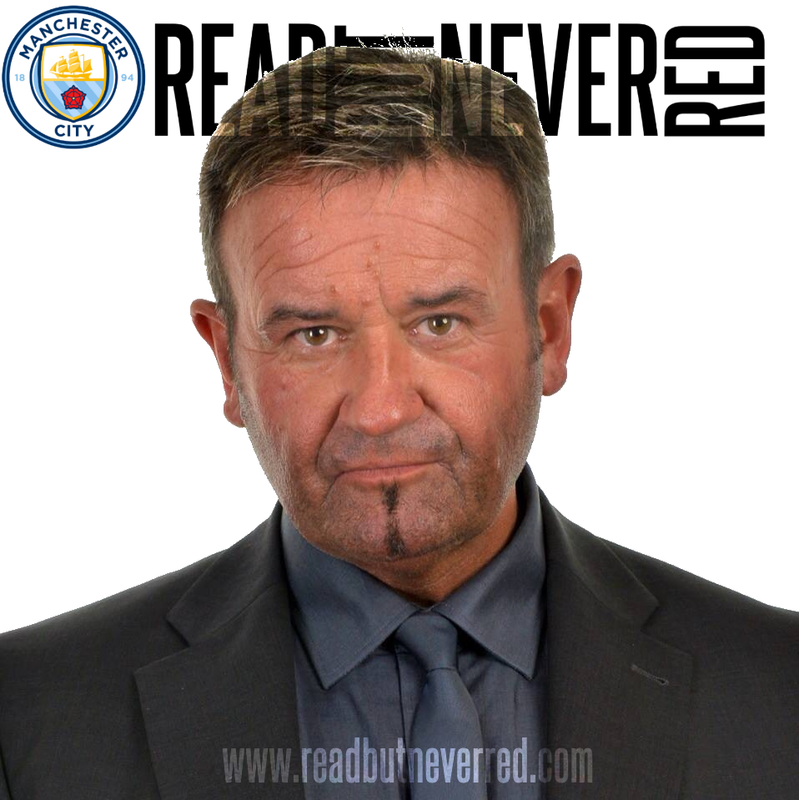 He had done so as a scorer in City’s 4-3 win at St James’ Park 44 years earlier – when he and the Class of 1968 had delivered the last title to the blue side of Manchester. His tears, at Yaya’s second and decisive goal just one minute from time, resonated with City’s long-suffering support in the 52,000 capacity crowd and the millions watching on Sky TV. It’s as much a mouthwatering, as well as a tear streaming, prospect for these most loyal of fans, in that they DO now have a ‘dream in their hearts’ and no longer ‘stand alone’ as the Blue Moon rises. With so much at stake the opening exchanges were bound to be tense as Newcastle, fresh from seven wins in their last eight games, sought to spring their Senegalese strike force of Cisse and Ba with long balls from the back. City took time to settle but when they did it was gratifying to see that quick, crisp passing and movement was back in vogue with Messrs Silva, Nasri, Aguero and Tevez. The best chances of the half fell to the magnificent Barry whose 18 yard shot rebounded off the legs of Toon keeper Tim Krul, before a second attempt was cleared off the line by full back David Santon. Newcastle’s closest cause for celebration stemmed from the lively Hatem Ben Arfa’s rasping shot, expertly parried away by the ever alert Joe Hart in the City goal. Five early yellow cards from referee Howard Webb illustrated the intensity of the affair and the match day officials were pleasingly efficient and uncontroversial – shock, horror! As the stalemate held the stress levels began to rise among the 3,200 travelling support – who was going to break the deadlock? The answer lay in the cultured right foot of Ivorian giant Yaya, after masterstroke substitutions and tactical revisions from Roberto Mancini. Nigel De Jong and Edin Dzeko replaced Samir Nasri and Carlos Tevez within 10 minutes of the second half and finally City had the set up to slice through the stubborn Newcastle defence. Like a runaway juggernaut, Yaya began to batter the tiring Newcastle backline before a neat exchange with Aguero resulted in a curling shot low, beyond Krul’s grasp. The impasse breached, City had belief surging through their play and it could – and should – have been 2-0 and 3-0 – as Aguero and Yaya contrived to miss chances they would ordinarily have buried. The usually clinical Aguero stroked the ball millimetres the wrong side of the post, when one-on-one with Krul. Moments later, Yaya surged into the Newcastle penalty area before inexplicably slipping over, but having the presence of mind to flick the ball back to Aquero whose shot deflected over the bar. Would such profligacy come back to haunt City? Mancini was as animated as ever as the chances came and went. A Cisse header flashed past the post of Hart’s goal before a slick move involving Aguero, De Jong and Gael Clichy ended with Toure deftly lobbing Krul from six yards out. The ‘Barcodes’ of Newcastle had been scanned and City were leaving with their precious shopping haul of three points. Mancini’s men had shown their mettle where many had wondered if they would buckle under the weight of expectation. The incessant booing and hostility of the Toon Army was replaced with gracious applause from the Geordie hordes, perhaps conscious they were hosting the champions-in-waiting. Another battle won on enemy territory and now for the final push against relegation-haunted QPR. A returning Mark Hughes would love nothing more than flicking a proverbial ‘V’ sign at his ex-employers and de-railing history in the making. It would also enhance his status with the ‘Dark Side’ who he served so admirably as a player. With a +8 goal difference advantage still intact, City know a win over a Rangers team boasting ex-City Academy favourites Nedum Onouha and Shaun Wright-Phillips, plus the shy and retiring Joey Barton, will hand them the PL crown. For me this was THE result of that run in,a great performance,cracking goals by Yaya and the outpouring of joy amongst blues said this was the game where the title was won,QPR was always gonna be easy haha!! QPR - purely academic...or so we all thought! This was the game that 99.9% of football fans, never mind Blues, thought had won City the PL title in the immediate aftermath of this glorious victory. Newcastle had plenty to play for themselves, and, as you point out, David, went into this game on an excellent run of results...indeed, their previous game had been a 2-0 victory at the home of the soon to be European champions. Never assume anything...as City, very nearly, found out to our cost seven days later......until 93.20 on the clock! Once again you brought so many memories back, I was so damn nervous leading up to this game. Oh the joy at winning. As you so rightly point out, Roberto's substitutions and tactical changes were and at times are masterstrokes. Who would have thought then that we would endure the agony of the majority of the QPR game! Well that certainly brought it all back for me. I also remember saying to a PC after Yaya's second "if I die now don't resuscitate me" I was convinced the following Sunday was just going to be a case of turning up, and in my mind we were Champions already. 132 City’s transfer window is a real pain...so far!